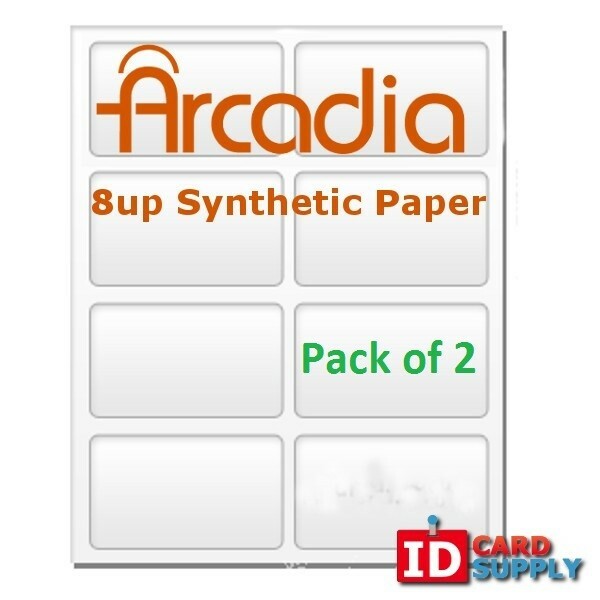 Arcadia Synthetic Paper is our recommendation for the highest quality PVC like ID Cards. 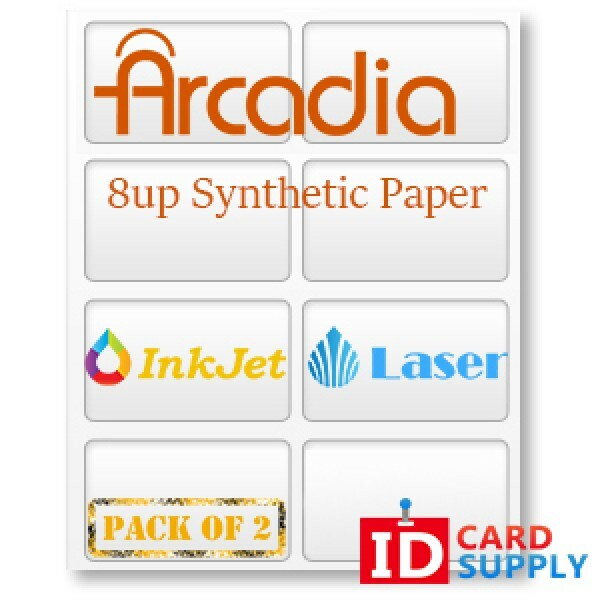 Arcadia Paper can be printed on almost any home printer (Inkjet or Laser printing). The sheet comes with dimensions 11" x 8.5" which is the same as standard printing paper. After printing your designs onto the 8-up perforated die with one of our printing templates simply punch out the perforated sections and your card is ready for lamination!